Capcom and Marvel fans, Udon is about to take all your money. 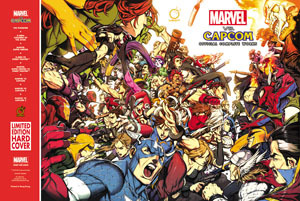 Udon, creator of some pretty incredible artwork themselves, is about to grace the Comic Con world with Marvel vs Capcom: Official Complete Works. The hardcover tome will clock in at 200 massive pages and be busting with artwork from every single Marvel/Capcom collaboration. An amazing collection nearly 20 years in the making, UDON Entertainment proudly announces the impending release of Marvel vs. Capcom®: Official Complete Works! This is a brand-new art book collecting all of the official artwork, sketches, and bonus material from all of Marvel and Capcom®’s video game collaborations—from 1993’s The Punisher™ arcade game right up to 2012’s smash-hit Ultimate Marvel vs. Capcom® 3! 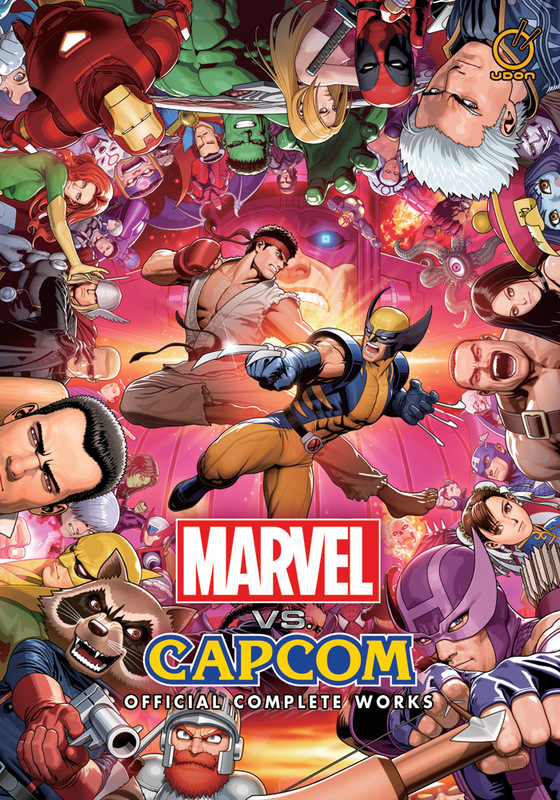 Compiled by UDON with the help of Capcom and Marvel, this is the first time this material has ever been collected in one place—on either side of the Pacific! It will make its international debut at Comic Con International: San Diego on Preview Night, Wednesday July 11th! According to the company, there's never been a really comprehensive book published anywhere that equals the Official Complete Works. There's a pile of talented folks who penciled the pieces found within the book's pages too. From Joe Madureira, to Akiman- if they ever created artwork to sit side-by-side with a Marvel game from Capcom, it's in here. Udon E-i-C Erik Ko? He's pretty pumped. 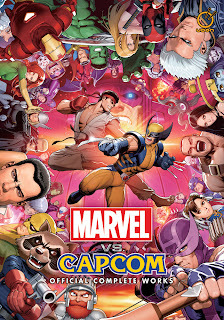 Look for Marvel vs Capcom: Official Complete Works at Comic Con International in San Diego on the preview night- July 11th -for $100.00 USD. The book isn't going to hang around for long though as there will only be 200 copies on hand (and the hardcover edition won't be sold in stores after the show) so you might want to try and grab one as soon as those doors open. If you miss out, all hope isn't lost though- the softcover version will go on sale at comic and book store this November for $44.99 USD. Key Features:-This is an original art book compiled by UDON, with no Japanese counterpart!-Includes all of the series' promotional artwork, a complete art archive of all Marvel vs. Capcom character drawings, and rare, never-before-seen artwork, sketches, and bonus material!-Contains artwork from the Capcom games The Punisher, X-Men™: Children of the Atom, Marvel Super Heroes, X-Men VS Street Fighter™, Marvel Super Heroes VS Street Fighter™, Marvel VS Capcom, Marvel VS Capcom® 2, Marvel VS Capcom® 3, andUltimate Marvel vs. Capcom 3!-Includes 17 new illustrations exclusive to this book! This is the book that fighting game fans have dreamed of, since The Punisher and Nick Fury first picked up their guns, since Captain America raised his shield against Ryu's hadouken! No fan of Marvel Comics, no fan of Capcom’s universe, no fan of videogames will want to be without Marvel vs. Capcom: Official Complete Works!